When you think about it, an average person will spend the majority of their life working. You will probably find yourself in school for at least 20 years of your life, and then the rest of your life will consist of you working in society until you retire. The problem that tends to arise while working is that we never seem to have enough money, or we are always worrying about it. We have so many goals we wish to see accomplished before we retire, but we can never get them done mainly because we are always stressed out. Take the time to breathe once in a while, clear your mind from all your financial stress and sit down and prioritize your goals. Figure out what is most important, and put the rest on hold, or get rid of them completely. As we have all come to realize, life is not only about making money, but it is essential for us, and why make money if we cannot even enjoy it. With that said, with a your large goals in mind, keep a smaller goal that is aimed for some “me” time. Take a vacation, enjoy yourself once in a while; relieve stress you may have piled up throughout the year. You will find yourself very relaxed and can get back on track with your life and getting your goals in life accomplished. Should You Own Your House or Rent It? We are conditioned to think that the natural thing to do in entering adulthood is to buy your own home and start repaying a mortgage, coupled with recent government incentives many pursued the white picket fence and all that that involves, which they have been taught is the dream. However is owning your house really so great for your finances, or would you be better renting? Should You Own Your House? The decision to own your own house should come down to what you want out of life and whether you are truly a homeowner at heart, rather than what you think you should be doing. You could be best suited to owning your own home if you like stability in your life and you want to put down roots in the community. At the same time you will have to make sure you are eligible to own a home and apply for a home loan, and that you can budget for all of the expenses which come with being a homeowner in addition to your monthly loan repayments. Before you have even made your first repayment on your property you will have equity in your home because equity is built when you owe less than the property is worth and if you have put down a 5% or 10% or even a 20% deposit then you have started to build equity and you will go on doing so as you make your repayments each month. Also you are not taxed on the equity you build on your property, as you would be on investment income. Even if you refinance to access that equity it is not taxed as extra income and you can use the funds however you wish for a holiday, home improvements or your next home. Property prices may seem to fluctuate significantly, especially in the wake of the property boom in the early noughties, as compared to the slowdown thanks to the Global Financial Crisis. However when you own your own home you need to look at it as a long-term investment because over 5 to 10 years your property is most likely to see positive growth. On average property prices double in value every 10 years and whether you see your property increased in value by 50% in one year and no increase at all in another year, over the course of your home ownership the value of your home will increase. If you are a first-time buyer there are often opportunities to save on some of the common costs of buying a home and you may be eligible for tax incentives or stamp duty concessions. When you own your own home you have the freedom to relax, renovate, paint and hang pictures however you choose, and you do not have to get approval from a landlord or lament the colour of your bathroom. It is our natural instincts to make the places we live our own and when you own your own home you have the freedom to express your tastes and make your home a place you really want to be. The initial costs to buy your own home can be inhibitive for many people because there are expenses which can far exceed the loan deposit you need to provide. You will need to consider stamp duty, taxes, loan application fees and mortgage insurance – which protects your lender not you – to make sure you can afford to buy your own home. Owning your own home also comes with a myriad of ongoing maintenance costs such as council rates and water rates, property taxes and liability insurance. When you are renting these are all things your landlord would cover but when you own your own home they become your responsibility. It has been estimated that new homeowners will need to budget for around $200-$300 per month for home maintenance. This could be anything from new plants and new paint, to new taps or new window locks. Should You Rent A House? Most of us have rented a house at some stage in our lives however renting is often seen as a temporary solution before you buy your own home. However is there really any need to move from the rental cycle? After all you could be better suited to being a renter than being a homeowner if you like the freedom to move and travel without having to worry about home loan repayments or applying to your lender to pause your repayments. At the same time to truly be better off renting than owning your home you need to have the discipline to save the money you would normally be paying towards a mortgage and home maintenance. There is no doubt that renting is cheaper than owning but if you want to be in a better financial position you can’t become too comfortable in your lower monthly commitments. While the property market shows growth overall in the long term, other investments can appreciate faster, even a simple savings account. For example if you were paying $2000 a month towards your mortgage, the same house would probably only cost you $1200 a month to rent. Therefore if you invested the $800 difference in a standard savings account you could build financial assets faster. In the example above if you were owning your home you would be paying a lot more than just the mortgage in a month however when you rent you are not responsible for spending time or money on maintaining the property. Also tenants insurance is much cheaper than homeowners insurance and your landlord remains liable if someone injures themselves in your home and decides to sue. Most rental contracts are only signed for a period of 12 months so at the end of that time you have the freedom to decide whether you want to stay, move to a different suburb or even travel and you don’t need to worry about covering the costs of the property when you leave because it is up to your landlord to find new tenants and cover his mortgage costs. You have no stability over the rent you are charged and if your landlord has made a bad decision about whether they have fixed or variable interest rates on their home loan then you could pay the price as they raise your rent to recoup their costs. You also won’t have the final say over whether you stay in your rental property or not because your landlord may decide to sell, they may decide they want to move into the property to retire or they may want you to move out so friends of theirs who are going through a tough time can move in. Whatever the reason at the end of the day the landlord is in control of the property and you can never really put down roots. There is also the risk that you are stuck with an irresponsible landlord and you can be living at their whim, waiting for them to find the time to come and fix problems with the house, and being governed by their rules of what you can and cannot do in the house. The decision to own or rent is a very personal one, but you should consider your options with regards to your financial situation, your financial goals and your own personal needs for your life. This is not the same as saying that you always WILL be able to improve it, but if you don’t ask (or investigate) you will definitely never get. My sales job involved a lot of cold calling and hard negotiating. The only way to do it well was to not care what people thought of me. If you are going to get the best deal on things that you buy in all instances then you will have to start to think the same way. Negotiation techniques work best for big-ticket items like cars, furniture, home improvements etc. Never take what you are first offered, make a confident counter offer even if it seems ridiculously low. This is the point where most people fail with negotiation – they don’t want to make a counter offer or make it too high. They feel embarrassed about making an offer and think that the person they are dealing with will think they’re cheap. Don’t fall into this trap – it’s your money after all. Bolster your resolve to negotiate by finding out how much money the company will make on a typical sale or how stupid the sales advisor would think you are if you pay full price! The information about the profit that the company makes on a sale will also be useful to counter some of the sales advisor’s arguments. If the sales advisor is not willing to negotiate then just walk away. This may change their mind, but if it doesn’t you can always consider buying somewhere else. Never be afraid to walk away from a deal, you can always (despite what the sales advisor might say) come back if you can’t find it cheaper anywhere else. Another good tip is to leave your contact details so that if they change their mind they can contact you. Use your knowledge of the profit that is being made on the deal to counter the typical argument, “but that’s less than we paid for it”. Tell the sales advisor that you know they normally make on a deal and that your offer still leaves them some profit. If the person that you are dealing with says that they don’t have the authority to give you a discount then ask to be seen by their manager. If you can’t get the price any lower then you can sometimes have more luck asking for extras to be included for nothing. All of the above may seem difficult to put into practice, but try to remember that a good sales advisor will relish the challenge of a skilled negotiator and will settle on a price that benefits you both in the end. In Part 2 I will cover some more negotiation techniques and some real-life uses for negotiation and sales skills. Getting out of debt is one of the most difficult tasks a person can face in their life, however the true challenge begins when you are out of debt. Staying out of debt is a difficult task to accomplish because it is a never-ending process, unless you come across a source of money where you no longer have to worry about money. There are various forms of debt; the debt I feel is the worst to carry is credit card debt. The reason for this is because you can easily control your spending on your credit card, you determine whether you make the purchase or not and as such control whether you go down the path of debt. For me there are still reasonable debt to carry, such as a mortgage, which most people do get in order to purchase a home. When you are getting out of debt, you require a plan. The plan is generally a budget you create to control your expenses. If you continue to follow that budget, and even improve on it, you will not only be able to save more money than before but you will be able to stay out of debt in the process. Remember, staying out of debt is probably one of the hardest tasks you will undertake, however once you set your mind of it there is nothing you cannot accomplish. Debt consolidation Denver solutions have been becoming popular by the day amongst the fellow residents. These solutions can provide an ideal mix of debt management advice and best in class financial consultation to those who are burdened under piling debt concerns. Debt consolidation Denver solutions can be accessed in a typical brick and mortar or across the web. Online debt consolidation Denver solutions have witnessed unprecedented growth in a shorter pan of time. The increasing reliability on credit has triggered the need amongst the debtor base to look out for structured debt consolidation solutions on the go. Much appreciated aspects about a structured debt consolidation Denver solution is that it helps a debtor in managing his or her finances smartly on the go. Based on their risk profile, disposable income and savings they can easily channelize their investments and make a monthly EMI payment to offset debt. Such an arrangement can be provided by a typical debt consolidation Denver solution or through debt refinancing solutions on the go. With a structured settlement plan in place it becomes a lot easier for a debtor to manage his or her finances in a smarter manner. Various debt consolidation and registered agencies can be sought out for in Denver while on is trying to gain from the debt consolidation Denver solutions on the go. The need of the hour is to assess ones risks and act in the manner accordingly. Unchecked debt can eat up liquidity and is slated to lead to financial concerns amongst one and all. One can easily get a professional help from debt consolidation Denver solutions in a smarter manner and power through their finances. The financial advisors would ideally key in the financial parameters pertaining to a profile of an individual before suggesting debt consolidation Denver quotes. Various service providers should essentially be sought out for while one is trying to consider debt consolidation in Denver. They can gain endlessly from the fluctuations in the interest rates, payment terms and other parameters in just about no time at all. As a result, debtors can easily get to maximize their profits in a neater manner. It is highly recommended to engage in a professional debt management and help agency in order to manage the debt consolidation end to end on the go. These solutions have been able to provide scalable benefits to one and all in shorter span of time on the go. credit card debt or applying for a home equity loan, you can receive the money you are looking for by means of an unsecured personal loan. Immediately have accessibility to your money; usually within a few hours from when your application is remitted. Because of the entire closing process, it can literally take weeks for you to receive the financing from a second mortgage. may be required to borrow $30,000 or more. Unsecured loan programs are not only for homeowners. your request. The only additional requirements may be to fax some paperwork to verify income, residency and/or banking. Overall, if you are looking to borrow $25,000 or less, unsecured loans are a better option than home equity loans or credit cards. There are many online unsecured loan providers out there. However, Choice Personal Loans is one of the premier online providers of good and bad credit personal loans. Choice has been providing affordable unsecured consumer financing to all fifty states since 1999; offering financing for every purpose including loans for computers, home improvements, car repairs….whatever your needs are! You can borrow as little as $100 to as much as $25,000. They even provide no credit check loans for up to $1500. Choice takes pride in being not just a lender but a provider of helpful information that will help educate consumers about everything related to financing and credit. As many of us know already, when it comes to saving money, certain people are much better than the task than others. You will always find individuals who have a greater understanding of the need to save money, and how to efficiently implement strategies to ensure their savings are constantly growing. 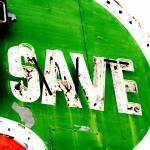 There are several reasons as to why people fail to save. This series will focus on these reasons and what you may be able to do to avoid making these mistakes. An issue that many people have when it comes to saving is not starting early enough. As each day passes without saving money, it is a lost opportunity to increase you savings. By starting early you will be increasing the number of years you have to contribute to your savings as well as the opportunity to benefit from earned interest or growth in investments. When you start early on in life, you are not required to start saving in huge amounts. You can take it slow and steady, making small contributions at first, and as you get into a better position financially you can make larger contributions. For those who may be starting late in life in creating their savings, you will be required to follow a stricter regiment. You will have to save more frequently, if you want your savings to grow. There really is no remedy for those who have started saving late, however you can stop looking at what could have been done and do what you can to create your savings. There are plenty of reasons why you may not have started to save earlier on in your life, despite what it is, remember it is never too late to start saving. As I mentioned in a previous article, I will be giving out a few year end strategies that you can consider taking advantage of in order to take advantage of a few year end tax strategies. Last time I discussed the first tip, which was spreading some joy, and what you can do to take advantage of this tip. Today’s tip consists of you simply having to contribute to either your RESP or TFSA. Both of these accounts are important to any individual, and it is important that you maximize your savings in both of these accounts. In respect to your RESP, as you know it is important that you prepare for your child’s future. Participating in a Registered Education Savings Plan will help you build a fund for your child’s future. This is something that you will not regret, and you will not only be able to save for a great cause, but at the same time enjoy a tax benefit. A Tax Free Savings Account is definitely an important asset for anyone. Realistically, who does not want to save money, without having to incur any taxes on it? Seeing as the maximum per year is $5,000, you may want to consider putting in the maximum or at least as close as possible before the year ends. By following the tips discussed, you will be able to maximize your returns for next spring, and accomplish a few financial goals in the process. Today, I will discuss the importance of how we should stop any senseless spending. We all probably have a different definition of what “senseless spending” is, however the fact is that it exists, and most of us tend to do it. As humans, we have the tendency to spend our hard earned money on goods and services we do not need. Call it what you may; it can be impulsive shopping or just indulging in what the world has to offer. With that said, it is important to realize that it is not just one habit or item that we have to cut out of our life in order to accumulate wealth. In order to become wealthy, one must adopt a disciplined lifestyle and budget. This means that people who are looking to retire well in the future have to sacrifice now, in order to benefit in the future. This can be anything from eating out less, traveling less; in general cutting back on unnecessary expenses. Keep in mind, this does not mean you have to stop having fun altogether, however you have to do everything in moderation. If you can start saving young, you stand at a better chance than most as you can save a great amount with only a few adjustments to your spending habits. Set a budget, and stick to it. You will find yourself living the best of both worlds. You will be able to have a life, and save for your future to enjoy an even better life. You will find yourself saving so much more money once you erase the senseless spending. Take it in moderation; let go of a few things in life slowly and soon you will even wonder why you did them in the first place. Saving money can be much easier than one might expect. My brother found this out recently, after making a small adjustment to his account. My brother can be considered a frivolous spender, he hardly saves, and if he ever saves, the money is used up before you know it. About 8 months ago, my brother came seeking advice as to how he can start a savings. My first response was that he should stop spending so frivolously, and start working with a budget. Knowing him, he would not be able to stick to anything; therefore I introduced him to a program TD has been running called TD’s Simply Save. This program allows you to automatically deposit money into your savings account every time you use your debit card. He decided to the deposit amount to its maximum, and after 8 months he checked his savings account and found a nice sum of money. The beauty of this program is that you do not have to do anything to save aside from initiating the program. You simply spend your money, and you are saving simultaneously. This is perfect for unmotivated savers; some people find it difficult to come up with a goal to work towards. This program allows you to save money despite not having a goal. For those who are finding it difficult to save money at this point in their lives, you may want to consider using this type of savings program. It is efficient, and will definitely got the job done.